I have recently learned that some particularly "evil" people have been hiding their practice beacons underwater. 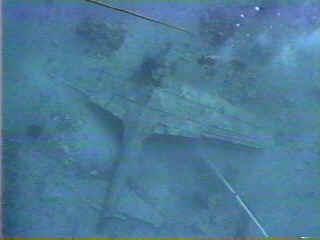 While at first glance this practice may seem unnecessarily difficult for those set out to find it, there are documented cases of actual ELTs transmitting from the deep. Granted the shallower the ELT the more easily it can be found, but it still is something of a trick. For this reason it might not be a bad idea to practice this when possible with your advanced aircrews and ground teams. If you try this on new DF team members, then you ought to be flogged. See the "Evil ELTs" page on this site for additional information. Should you elect to hide a practice beacon underwater, here are some considerations. First, you must have a practice beacon you are willing to sink. With anything maritime, be prepared to lose it once it goes over the edge. Since a practice beacon costs nearly about $156 U.S., think this proposition through. Not losing the beacon itself aside, consider how you will waterproof it. The beacon itself IS fairly hardy. The outer box is sealed with a gasket, and the electronic components themselves are fairly well protected within a thick layer of waxy glue on the inside of the beacon. This is consistent with actual ELT construction. This is why real ELTs may be able to stand up to immersion. Not wishing to trust this level of protection in your practice beacon is prudent, so you will want to armor your practice beacon. There are two basic methods in use. In actuality, you could use a combination of methods. This is the recommended procedure for the best protection. The first method is the familiar Ammo Can Practice Beacon Box. There are detailed instructions on how to build such a box on this website in ES Projects, Practice Beacon Box. You will want to use a rubber duck antenna with any underwater arrangement, as this will afford more water resistance than another type of antenna. Additionally, most other types of antennas will not fit inside the bucket (described below). 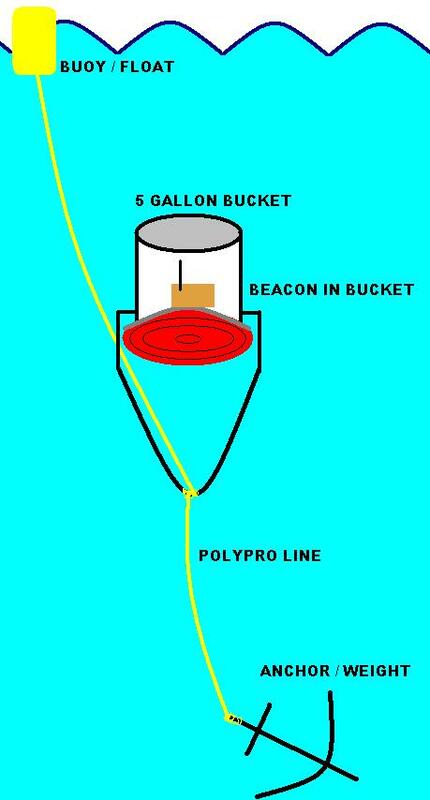 The second method is to take the beacon and place it inside of a 5-gallon bucket. You can purchase these buckets at a home improvement store for a few dollars, but you will want a lid along with it which is a little more difficult to find. The basic method is to place the Practice Beacon on the upside down lid of the bucket, place the bucket over the beacon, and then weigh the bucket down by the handle. Weighing the Beacon down may be more challenging than you think. Water weighs 8.34 pounds per gallon. If you are using a 5 gallon bucket, that means you need AT LEAST 41.7 pounds of weight to keep the thing from drifting off the bottom. In reality, you will want considerably more weight than the minimum. Remember that your buoy and polypro line add to the overall buoyancy of your setup. Additionally, if you balanced your weight 'exactly,' your beacon float with neutral buoyancy. This would make it highly susceptible to water currents and even wind. It would behoove you to add some extra weight to make sure the beacon remains where you hid it. As a rough estimate, about 60 pounds should do the trick. Remember that you will need to retrieve whatever weight you use, so don't go too far overboard in selecting your weight. The bucket handle is the weak point in this system. If you aren't careful with the weight that is attached to the handle, a jerk on the line could easily rip the handle off. Now your beacon is headed downstream and you'll be forced to find it "the hard way." If you were to submerge an ammo can, it will require considerably less weight. An ammo can, however, is not sufficiently waterproof for an underwater hide. It is recommended that you place an ammo can setup inside a 5-gallon bucket. Double protection is always a great idea. No weight figures are available for the underwater ammo can only setup because no one has been found brave enough (or foolish enough) to try it. After you've constructed your protection and your anchor, consider how you will secure everything together. Also consider how you will retrieve the target once the exercise is over! I recommend polypropylene line for both of these jobs for one simple reason: it floats. You can find it anywhere that sells boating supplies. Securely tie the beacon container to your weight at your desired depth as measured from the bottom. Be cautious for mucky or soft bottoms. The closer the beacon is to the surface of the water the easier it will be to locate. A shallow beacon such as this is recommended for your first time out. You will also want to tie a float or small buoy that will stay on the surface of the water. Because of the possibility of the handle being ripped off by the anchor, it is a good idea to secure the buoy to the bucket itself versus the handle. This is a particularly good idea if 2 pieces of rope are used for the setup. The buoy will prevent you from needing SCUBA gear to retreive your beacon. The floating polypropylene rope by itself really isn't enough of a buoy. Purchase a small float, such as a keychain float (at a minimum), when you buy your rope. Experiment a little and make sure you don't leave your beacon with no way to find it again, but don't also leave such a large buoy that the beacon can be found easily by visual means. 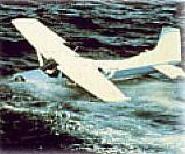 When hiding the beacon, you will likely need some type of boat. If you don't have one, enlist the services of the US Coast Guard Auxiliary. They will likely be happy to help, and can give you some great pointers when dealing with things like this on the water. Before you leave your beacon, mark the spot with a GPS. At the very least you'll have a good last known position when you have to do an "actual search" for your expensive beacon. If you don't have friends who dive with SCUBA gear, it might be time to find some before you use this hiding method. Good luck and good hunting, but be careful--USE THIS INFORMATION AT YOUR OWN RISK!